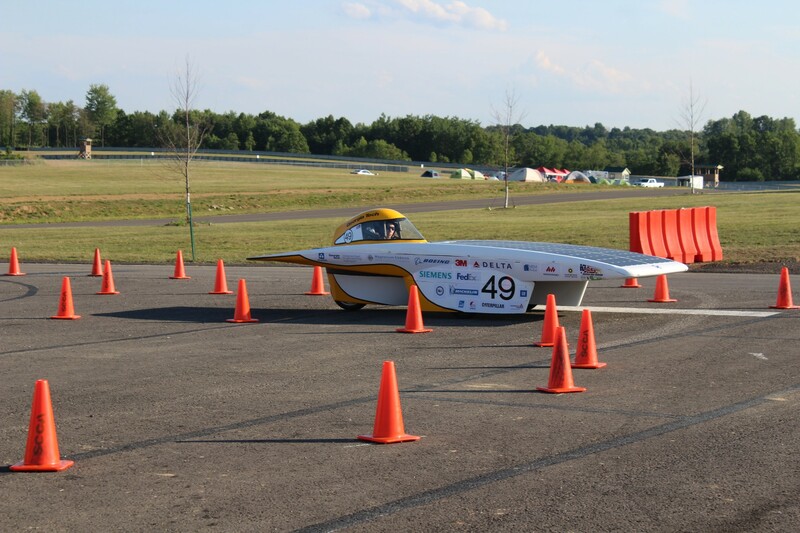 Endeavour is the first race-worthy Challenger-class solar car raced by our team. 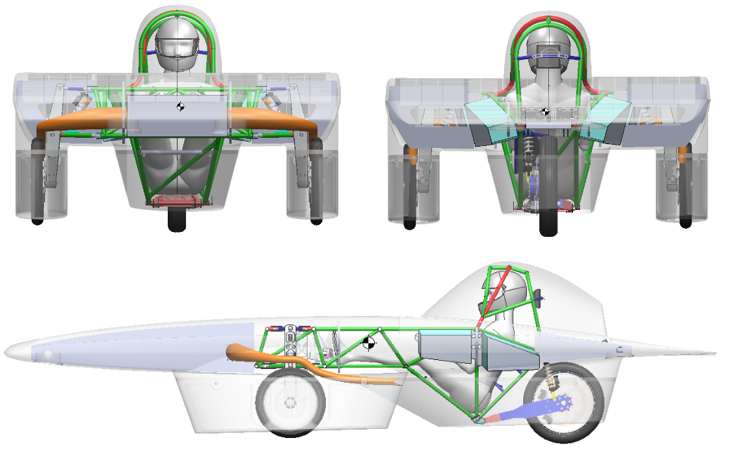 Silicon solar cells by SBM are attached to the top of our aerobody made from carbon fiber donated by Boeing while a steel chassis protects the driver and acts as the frame that holds it all together. Endeavour weighs in at 400 kg with driver and has seen top speeds of around 45 mph. 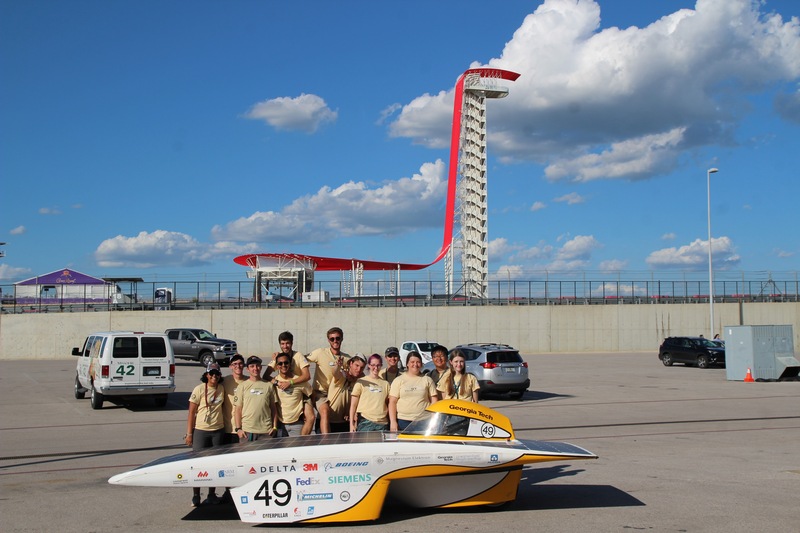 With Endeavour, we placed 6th in FSGP 2017 and received the Most Improved Award. 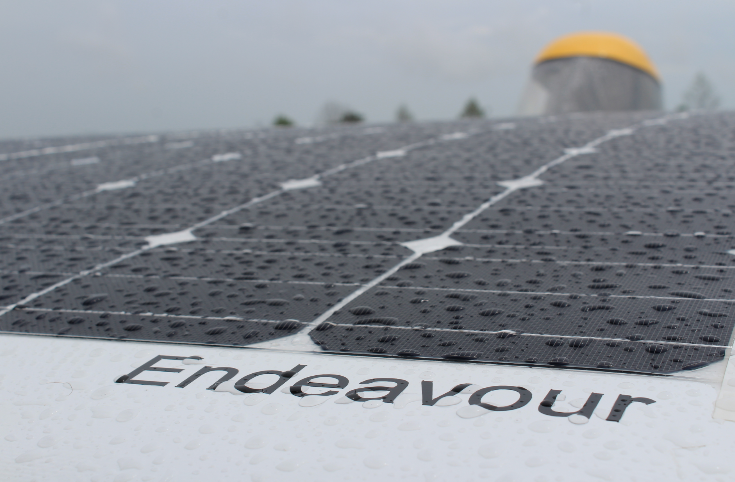 Check out the Endeavour's sponsors.